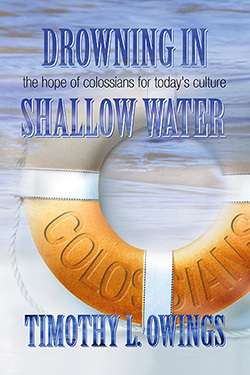 Paul's Letter to the Colossians gives us a starting point for navigating the shallow waters of our time. Both believers and unbelievers are drowning in the trivialities of our day. Our vision is blurred without divine healing. Only Jesus can touch our eyes and enable us to see his face of sacrificial love and grace. What is needed is clear vision and courageous hearts to live in the deep waters of authentic, biblical faith that is hardwired to Jesus and is sensitive to people for whom Jesus died and rose again. In Drowing in Shallow Water, Timothy Owings reminds us that our only hope for being rescued is in reconnecting with Jesus Christ, his heart, his compassion, his way of reaching across barriers and building redemptive relationships. Timothy L. Owings is Pastor of First Baptist Church, Augusta, Georgia. A graduate of The Southern Baptist Theological Seminary in Louisville, Kentucky, he has also served churches in Alabama and North Carolina. Owings is the host of "Religion Today," a syndicated radio program on Georgia News Network and is the author of A Cumulative Index to New Testament Greek Grammars and Hearing God in a Noisy World: Prayer as Listening. "Timothy Owings has written what we can only wish will be the first of a new generation of biblical commentaries. This volume abounds with timely, relevant illustrative material for both preachers and teachers, and is colorfully written by a seasoned pastor who not only clearly understands the theological message of the Colossian Epistle but also knows how to apply it today." "Drowning in Shallow Water warns of quick fixes and shallow faith. As our culture looks for easy answers to life’s complex questions, Timothy Owings encourages all people of faith to explore the deeper truths revealed in scripture. Paul’s Letter to the Colossians unfolds for the reader in this treasure of a book. 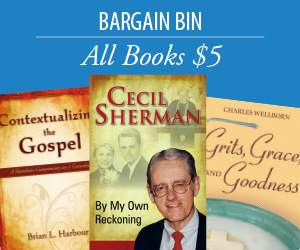 It is a must read for anyone serious about prayer and faith." Medical College of Georgia Health Inc.
"These sermons reflect extraordinary gifts of mind and heart. Like me, you’ll laugh, cry, be convicted, and be blessed." "To experience the writings of Tim Owings is akin to stumbling serendipitously upon a sparkling stream encased within a spiritual oasis in the middle of a dry and dusty desert. This is preaching at its best from one who has faced adversity and handled success with equal skill and teaches us to do the same." Draw deep from this well of sound scholarship, carefully crafted images, creative and practical application to today’s living, whether life finds you in flood or drought. Do yourself a favor! Set sail with this ship's captain to the destination of reconnecting with Jesus, the Living Water which quenches every thirst." "You can't help but enjoy Dr. Tim Owings! He makes us look at life through a wide-angle lens. In Drowning in Shallow Water, Tim gives us the opportunity to confront our own shallowness and, as he always does, encourages us to keep going and to do life a little better." author of Making Children Mind Without Losing Yours.